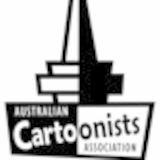 The ACA is the world's oldest cartoonist organisation founded in Sydney in 1924. The ACA is proud to present online past issues of its quarterly journal Inkspot. Just click on an issue and flick through the pages online. Inkspot is produced for ACA members to enjoy. To enquire about ACA membership visit www.cartoonists.org.au. The ACA's annual Year Book is also presented online. You can find a cartoonist easily! If you have any news and views about Inkspot please send them to inkspot@cartoonists.org.au.